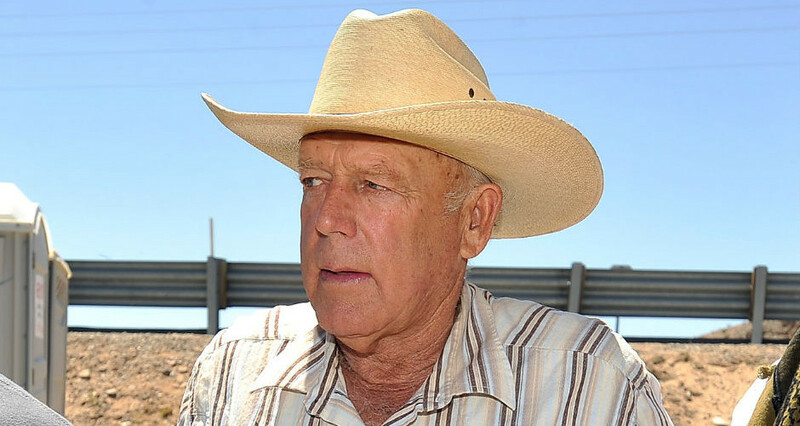 Editor’s note: The Liberty Nation Editorial staff has been hard at work reporting and analyzing the first of several trials in the case of the United States v. Cliven Bundy et al. Today we offer you a point-counterpoint discussion offering two perspectives on the same event. Todd Engel was found guilty on two charges; obstruction of justice, and interstate travel to aid extortion. Greg Burleson, a fellow defendant also revealed to have been working for the federal government as an informant throughout the events at Bundy Ranch, was found guilty on eight charges. On the charges of impeding and injuring a federal officer, the jury could reach no verdict. Greg Burleson, the informant, was the only defendant convicted of assault on a federal officer, as well as threatening. 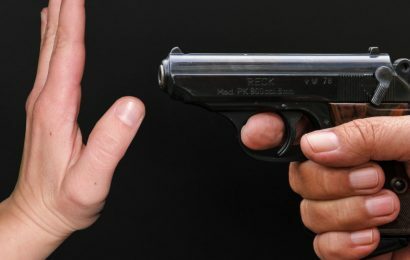 He was also convicted of two counts of “firearm in relation to a crime of violence,” according to the Review-Journal, and interference with interstate commerce by extortion. In your first piece on the situation for LN, you titled your article, “A Disturbing True Story of American Justice.” So, my question to you is: Do you still believe this is a disturbing story of American justice? Kit Perez: Absolutely. In fact, anyone involved in liberty activism of any kind should be paying attention to not just the verdict but how this case played out from the beginning. There is a staggering amount of abuse going on, and most people don’t know about it. Sadly, since the mainstream media won’t cover these aspects of the case, people are often forced to get the information from websites that some consider extremist or ‘fringe,’ (not talking here about LN, of course). But the information is often discounted – which is the whole point. The Feds don’t want people to know the situation in its entirety. I was not encouraged by the result of this trial at all. Did you see it as a positive thing? LKD: Well I do see your point about how all this came down, and I agree with it wholeheartedly. Where I guess, I think we differ — is in the result. This jury took quite a long time to consider the situation carefully and when it came right down to it – for the most part – they refused to go along with the government’s flagrant abuse of 1. The system, 2. Their frightening misuse of power and 3. The picture that they painted of these men. I mean basically there were what – seventy charges leveled at these six men – and only one guy – the informant, got the book thrown at him. OK, I get that Engel was convicted on two charges as well. But essentially it seemed to me that this jury of rank and file Americans saw through the injustice of the federal government’s case and weren’t willing to go along with it. Agree or disagree? KP: It’s possible that’s what happened. There are other possibilities as well. We have to remember that this informant, Greg Burleson, was in the employ of the federal government since 2012. That’s two years before the events at Bundy Ranch, and he worked with them on several other cases before this. Why would the government spend that much time, effort, and money on an asset, only to turn around and charge him with all the rest? Also, it should be noted that he was exposed as an informant during the trial. This means that he was privy to defense meetings and strategy up to that point. Now add in that the only violent rhetoric came from Burleson. There’s a running joke among liberty activists that you can always tell who the informant or undercover agent is because they’re the one trying to get you to do violent things. When you back up and look at the bigger situation, you’ve got a longtime informant, with a history of violent invective, who the feds slid into the ranks of the defendants. Why would they do that? What do they gain from this? The answer may be found in the guilty verdicts against this informant. He was convicted of assaulting a federal officer, among other things. How does a man who never laid a hand on a federal officer get convicted of assault against his own employer? It makes no sense unless you realize that with this conviction, the federal government now has precedent, so to speak, for arresting and charging others with the same crime – whether or not they actually, physically assaulted a federal officer. It sounds crazy until you look at the federal government’s pattern of behavior over the last twenty-five years against those who dare to stand up. Suddenly, it sounds less like tinfoil, doesn’t it? LKD: My take away from the Burleson conviction is simple: Never trust the Feds. They’ll use you then they’ll screw you to the wall. I guess my sympathy for Burleson is a bit flaccid. But this is a tangent, in my humble opinion. The real story is that these Americans on the jury weren’t buying the federal BS in any way, shape or form. These men could have been locked away for a hundred years plus each – and now that’s not going to happen. 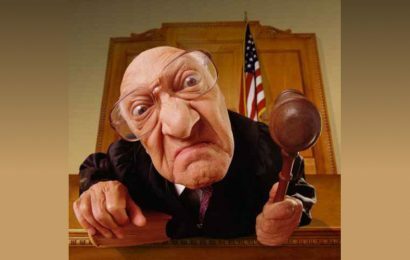 I say bully for the American jury system. KP: I have no sympathy for Burleson. In fact, I’d argue that his face should be so well-known to anyone involved in liberty activism that the feds would have to send him to Brazil for plastic surgery before they could put him back into play anywhere. As for the rest of them doing the hundred-plus years, that could still happen. The government is planning to retry the case in June – in front of the same judge and by the same prosecutors. That means they can expect the same games, the same misconduct in the courtroom that they experienced this time. They’ve already been confined for the last sixteen months waiting for this trial, and as of this writing, there are no plans to release them while they wait for the next trial. That’s almost a year and a half of prison time when they haven’t even had a fair trial yet, let alone been convicted. Meanwhile, the two other groups of Bundy Ranch defendants also sit in prison, waiting for their first trial. The right of “speedy trial” is apparently a joke to the federal government, who has managed to justify and rationalize every single abuse, every single violation of Constitutional rights, in their quest to make an example of those pesky patriots who believe the government was never meant to be omnipotent. Never trust the Feds? That’s something we where we both can agree. LKD: You are 100% on it regarding the speedy trial. I’m not saying there has not been a travesty of justice in this case at all. I’m just saying that my belief in the American citizen being able to separate fact from fiction and being able to see when someone is being railroaded has been, shall we say, restored. It would have been a horrible mockery of our justice system had these men been convicted. And let’s face it, you and I and just about every other liberty minded person out there thought there was a damn good chance that would happen in this case. Not to beat a dead horse but I think you are getting off the main argument. Sure, they’ve been treated horribly, but so far, the jury verdict shows justice can still be done in America. I guess I just see the glass half full here whereas your points, while valid, make me think you see it half empty and are discounting the reasonably good news in the first round of verdicts. KP: The Feds aren’t ridiculously bright, but they are devious, and they completely lack personal or collective integrity. When people with badges and federal powers openly advise that the Bundy children should be shot first, We the People have a serious problem on our hands. When you also consider it’s not the first time that people with badges and U.S. federal powers have targeted children, there’s a trend that should both worry and infuriate every American in this country. As for the ‘glass half empty’ thing, here’s my bottom line. These fathers, sons, brothers and husbands are in prison when they have not been convicted of a crime, and will continue to be regardless of the jury’s non-verdict. One defendant got convicted of two felonies, including interstate travel to aid in extortion, for attending a protest while federal agents shoved women to the ground, tazed people, and killed someone’s cattle. We have another high-profile trial coming, during which the same judge and prosecutors will engage in the same immoral tactics to ensure a conviction against these men – and all the complaining in the world won’t change what’s happening. And what happens if the next jury convicts on all charges? Where should people’s faith in the justice system go then? It’s not a glass half full situation. It’s a glass fully shattered.